Worldpay, one of the UK’s largest payment processing companies, has added Vyke to its exclusive member’s benefits club. 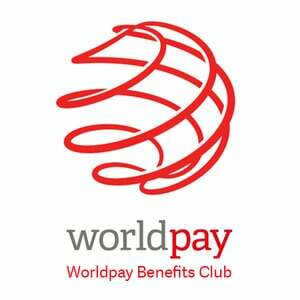 Run in partnership with Perkbox the Worldpay Benefits Club offers business benefits, discounts on major brands, world class educational content and exclusive access to select business events. Partnering with companies like Microsoft, Apple and Google, Worldpay business benefits include huge savings on technology, travel, business marketing and financial services, while individual staff members can avail of discounted tech, food & drink offers and savings on entertainment, clothing and fashion. Offering personal perks as well as perks for business puts the focus on staff happiness and “helping small business save, sell and succeed” and this combination helped Worldpay to the title of Best Benefits or Loyalty Programme of the Year at The Card and Payment Awards (TCPA) 2016, beating out competition from American Express, RBS and TSB. Vyke is offering Worldpay members a free extra mobile number for 12 months (members can select from UK, US, Canada, Holland or Poland) and £5 free credit that can be used for low cost domestic or international calls & texts from the Vyke app. Adding a Vyke number for business users allows easy separation of work and personal calls for both billing and work-life balance. Vyke numbers are real phone numbers but the app allows you to quickly turn them on or off if you are in a meeting or at the weekend. Each number has its own free voicemail so your clients and colleagues can hear a different greeting to your mates. The full Vyke feature set is available here.